Original sold 28 May 2018 at the Babylon Gallery Exhibition of Botanical Art ICENI Botanical Artists. 0813 Ling Design card 2011 to 2014. 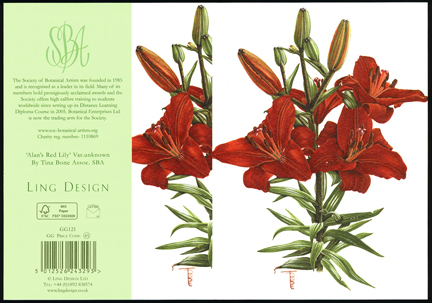 Cards and notelets were available via Moonpig.com, Ling Design (wholesale) and at the Society of Botanical Artists Annual Exhibitions 2011–2014. Red Lily, var. 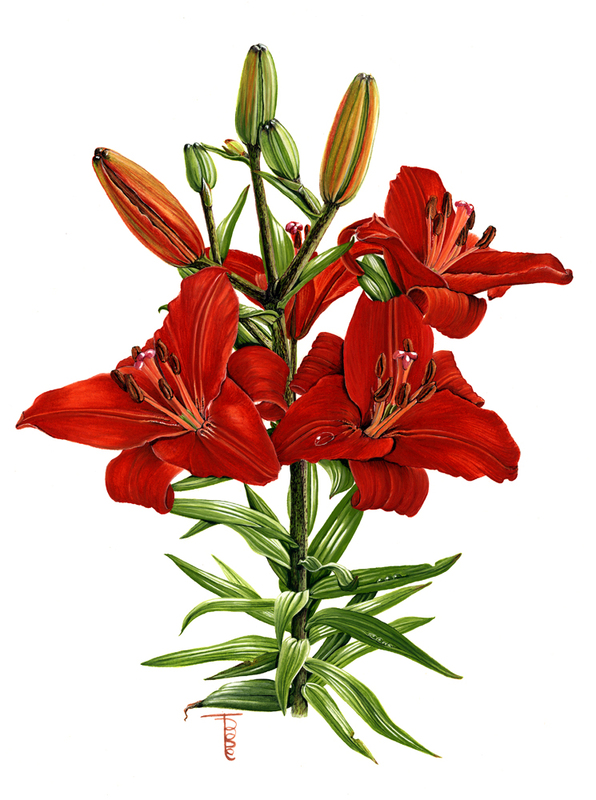 unknown was renamed ‘Alan’s Red Lily, var. unknown’ by Ling Design because it came from my lovely neighbour, Alan. He had lots of different coloured lilies growing that year which proved most useful for my five-painting project to gain membership to the SBA.